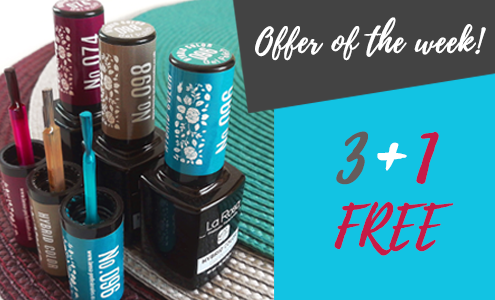 Buy THREE hybrid color gel polish and get ONE more FREE. You can choose form 108 of colours! Offer valid until 5th of August.